About 32 million acres are under lease to oil and gas developers at the end of Fiscal Year 2015. 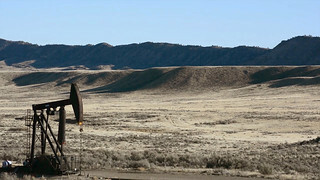 Of that, about 12.8 million acres are producing oil and gas in economic quantities. This activity came from 23,770 producing oil and gas leases and approximately 100,000 wells. The production from wells on both federal and tribal lands accounted for 11 percent of the natural gas and 7 percent of the oil produced in the United States in Fiscal Year (FY 2015). While the program spent about $138 million appropriated from Congress in FY2015, it generated more than $2.24 billion in royalties, rental payments and $112 million in bonus bids, all of which were split between the U.S. Treasury and the states where the development occurred.